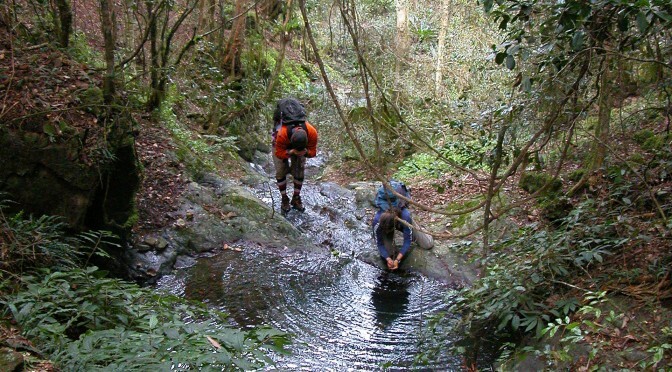 Wander where the wi-fi is weak on this 5 day guided walking tour through the world heritage Barrington Tops wilderness. This is a superb landscape – think moss-covered, brilliant green rainforests, gnarly old trees thought to be a thousand years old and sensational views across the Great Dividing Range to the distant sea! This best of the Barrington Tops walking tour includes Gloucester Tops Circuit with its stunning waterfalls and swimming holes; the, Link Trail to Careys Peak which passes through rare Antarctic Beech forest; Edwards Swamp which is a unique sub-alpine wetland and; Polblue with its snow gum forests and amazing birdlife. As an added bonus – finish your adventure with a complimentary day of guided, whitewater kayaking on the beautiful Barrington River. Newcastle Grammar School loved their recent outdoor education camp with Barrington Outdoor Education. Teaching is a pleasure with such great kids! Fun by Nature: Watch our customer’s video Barrington River Weekend Away for water water paddling with Barrington Outdoor Adventures.